For those who do not know, Darrell Sweet—illustrator of all of the Wheel of Time covers—has passed away. The first of his covers I can remember seeing was his beautiful cover for THE EYE OF THE WORLD. I’m sure it wasn’t actually the first, however. Mr. Sweet was one of the premier fantasy artists for many years in the business. I have a healthy appreciation of what he accomplished, and I’m not sure many new readers realize just how influential and important he was as an illustrator. We’ve gone far more realistic these days in fantasy art than Darrell’s style was complimentary toward. 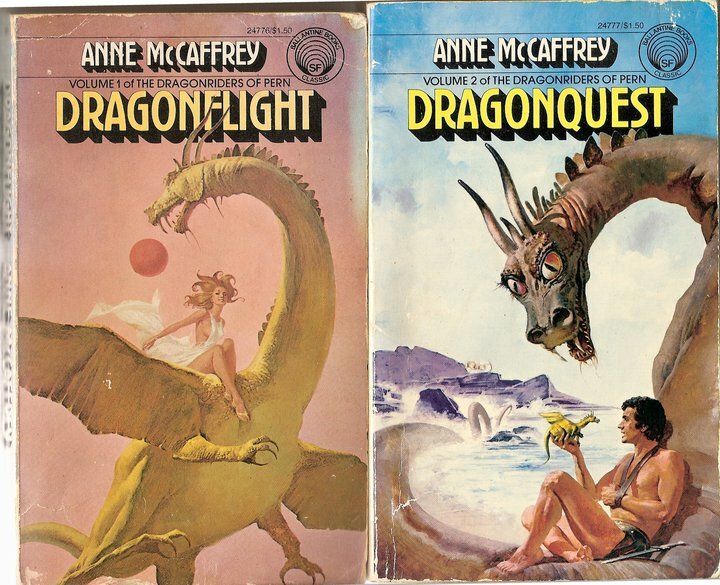 However, when I first got into fantasy books, the covers were not like what we had today. The genre was still in its infancy, and fantasy illustration was equally youthful. Publishers were still trying to figure out how to illustrate it. We usually either got conceptual covers like the sf ones you can find on this thread or, far worse, the dreaded woman in a chain mail bikini—a trope I consider downright stupid in a genre almost universally populated with strong female protagonists. For more research, look through this whole archive of fantasy and sf covers, many from that era. That was the sort of thing we were dealing with. Grim, dour, oiled up, or silly was the norm. With that in mind, compare what Darrell brought to us. Into these realms, Darrell’s artwork was a breath of fresh air. He’s beautiful with colors, his creatures are fantastic and fanciful, and he gets across a truly magical and wondrous feel to his art. When Mr. Sweet came along, that’s when fantasy illustration started to change. Now, a lot of Wheel of Time fans like to gripe about inaccuracies in the Wheel of Time book covers. They have that luxury because we, as a genre, have seen huge strides in illustration over the last two decades. However, it would be unwise to dismiss the illustrators who—through their majestic use of imagery and color—lifted us up to this point. Sir, I picked up THE EYE OF THE WORLD in large part because of your wonderful cover, which is a true masterpiece that I would put up beside any other piece of fantasy art. You gave us beauty, wonder, and magic. You will be missed. Rest in peace.